* Deluxe Gift Set includes a vintage round metal tin with full color imprinted poly dome lid. 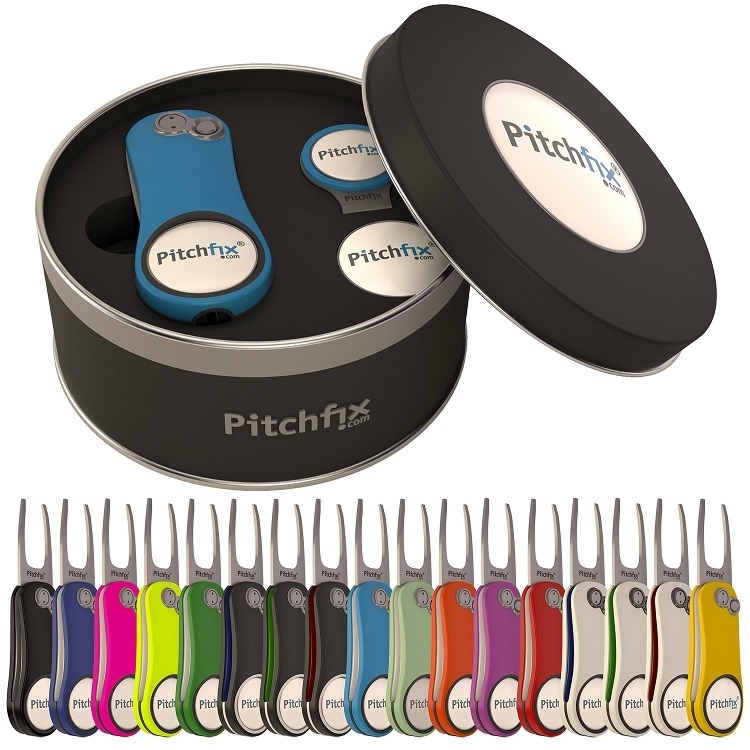 Tin showcases the Pitchfix Hybrid 2.0 golf divot tool full with ball marker, Pitchfix Golf Hat Clip with full color ball marker, and an extra full color ball marker. Imprint area for round tin lid: 2"